Community Health Center started as one dental chair in Middletown in 1972, and dentistry is still at the core of what we do! All of our sites offer a full range of dental services, from cleanings and fillings to root canals and crowns. Our dentists are trained to make the experience as comfortable and easy as possible for you. Oral health is key to your overall health. Tooth decay, tooth pain, and gum disease all have a big impact on the quality of your day to day life. Poor oral health can also lead to diabetes, heart disease, and more. Going to regular cleanings are a really important part of keeping your teeth healthy! The dental team at CHC is an important part of the integrated care team. They work closely with all of our staff to ensure that our patients’ oral health is cared for. 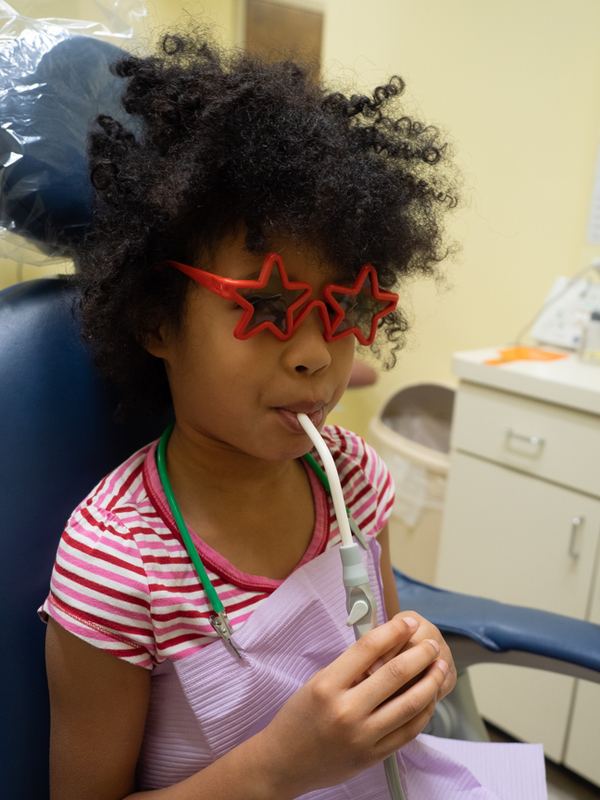 In addition to the main sites, we offer dental care at many of our School Based Health Centers, and have mobile dental clinics that bring care to patients across the state. Our dental hygienists don’t just clean your teeth! They’re here to answer questions about healthy teeth habits and to make sure you understand the importance of good dental hygiene and how to prevent future dental problems. Throughout the year, we host Mission of Mercy events to bring free dental care to homeless persons. During February, we participate in the annual Give Kids a Smile event as part of National Children’s Dental Health Month, by holding free dental clinics for kids across our sites. Read up on healthy brushing habits! 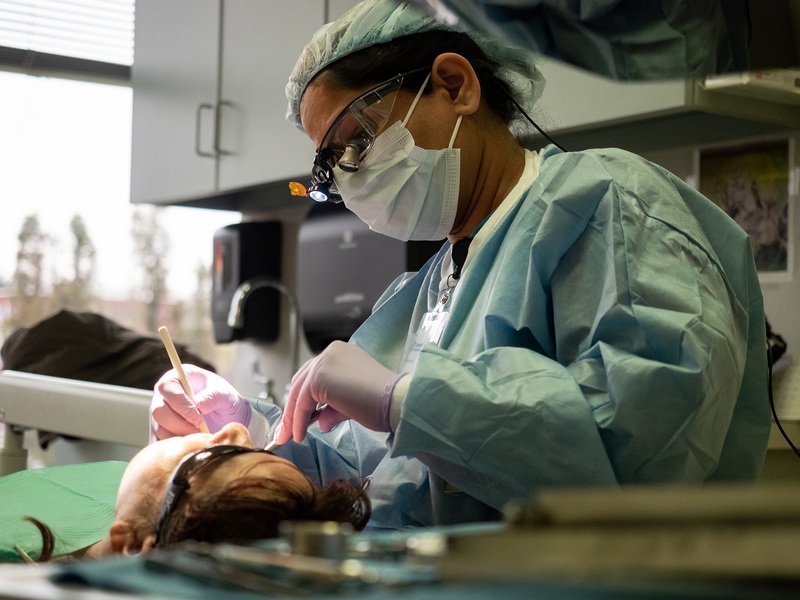 Dr. Sheela Tummala, our Chief Dental Officer, providing care to a patient during Mission of Mercy.